Amid a sea of scrubby jack pine, several scientists gather as a male Kirtland’s Warbler—one of several within earshot—sits on the tip of a tree branch and fills the sky with his buoyant, clear song. The large warbler, with dandelion-yellow breast and slate-blue head and back, stands out as clearly as a traffic sign. It seems somehow incongruent that one of the continent’s rarest migratory birds would sing so boldly in plain view, only 30 feet away. The spirited male makes no effort to hide or evade. “They just don’t know any better,” adds Peter Marra, the head of the Smithsonian center and an expert in songbird migration and population dynamics. A male Kirtland’s Warbler sings his spirited chip-chip-che-way-o song from the tree tops in northern Michigan. Video by Benjamin M. Clock/Macaulay Library. The task of finding a singing Kirtland’s Warbler on its nesting ground would have been vastly harder three decades ago. At that time, the entire known population numbered only 167 breeding pairs scattered across the jack pine barrens of the northern portion of Michigan’s Lower Peninsula. But in the years since, the boisterous warbler has multiplied to more than 2,000 pairs and has spread—albeit tentatively—to Michigan’s Upper Peninsula, northern Wisconsin, and across the border to Ontario. “I think it’s a tremendous success story,” says Marra. “Are we out of hot water? 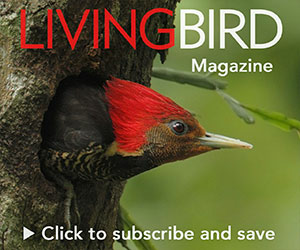 No, I would say we’re not out of hot water, especially given some of the threats that we’re seeing during the nonbreeding season, like climate change and sea level rise,” which could affect the warbler’s wintering habitat in the low-lying Caribbean. The success and upward trajectory of the warbler’s numbers has prompted the U.S. Fish and Wildlife Service to consider downlisting the Kirtland’s from “endangered” to “threatened” on the federal endangered species list, or removing it altogether. But hurdles remain. And even if the path is cleared for removing endangered species protections entirely, the Kirtland’s Warbler will remain utterly dependent on continued human maintenance of its breeding habitat. “The Kirtland’s Warbler is one of those ‘conservation-reliant’ species,” says Christie Deloria, a Fish and Wildlife Service biologist and member of the Kirtland’s recovery team who has worked with the species for more than 20 years. Kirtland’s Warbler by David Speiser. The Kirtland’s is jumbo by warbler standards—up to 15 grams, about twice the size of an American Redstart. It was named for an Ohio doctor and naturalist (Jared Potter Kirtland), but sometimes it is called the “jack pine warbler,” because it habitually nests on the ground beneath young jack pines. And it is there that the long story of its decline and near-extinction begins. From the Great Lakes to the Bahamas: This map shows a model of probable Kirtland’s Warbler residency, based on data downloaded from a geolocator tracking device. The warbler followed a looped migration route: the dashed line shows fall migration; the solid line shows spring migration. The project gathered data from 27 Kirtland’s Warblers carrying geolocators. Map from a Journal of Avian Biology paper. Each spring Kirtland’s Warblers fly north from the Bahamas to Michigan, where they pair up and nest almost exclusively in large tracts of jack pine between 1 to 4 meters (3 to 12 feet) tall. Marra says it’s not clear why Kirtland’s Warblers will nest only among young trees. But it is clear that once the stand reaches about 15 years old, the birds disappear. It’s also not clear if the warbler’s reliance on young jack pine evolved since the last glacial retreat about 10,000 years ago, or if the bird has followed jack pine forests at glacial margins through several ice ages. But the warbler and jack pine are inextricably linked now, and the only natural way to create sweeping stands of scraggly young jack pine is through forest fire. In the past, fires were ignited by lightning and also by indigenous peoples to create openings for game and forest crops, such as blueberries. The Kirtland’s was probably never common, even in its Michigan range. Its numbers may have peaked in the late 1800s, when wildfires scorched the land in the wake of pine logging. By the 1920s, settlers got serious about stomping out wildfire. The amount of land in warbler territory that burned each year fell from an average of 14,000 acres (based on fire records) to only about 1,000. Jack pine grew too old and tall to interest warblers. Vanishing habitat wasn’t the only problem. By the early 1900s, Brown-headed Cowbirds were becoming common, taking advantage of the openings created by logging and agriculture. Cowbirds lay their eggs in the nests of other birds, and the cowbird young hatch early and monopolize food. The first instance of cowbird parasitism of a Kirtland’s Warbler’s nest was reported in 1908. The warbler seemed unable to identify the intruders or remove their eggs or even defend its own young. Parasitism rates ranged from 48 to 86 percent of Kirtland’s Warbler nests, according to Fish and Wildlife researchers William Shake and James Mattsson. Kirtland’s nests on average produced fewer than a single warbler fledgling. As fire-generated habitat disappeared and cowbirds invaded, the number of warblers plummeted. A 1951 census counted only 432 singing males in 28 townships. By 1971, the number had fallen to 201 in just 16 townships. In 1974 and again in 1987, the population hit its nadir at 167 singing males. Trapping and removal of Brown-headed Cowbirds—a nest parasite that lays its eggs in other species’ nests—has been a key component of reducing the threats to Kirtland’s Warbler breeding success. The average output of Kirtland’s young per nest has tripled since the program began. But at a price tag of $100,000 per year, the continuation of cowbird trapping is uncertain if funding is reduced due to Kirtland’s Warbler delisting. Foresters created habitat through clearcutting and then prescribed burning. But the thousands of homes, cabins, and trailers tucked into the woods along dirt roads and country highways made fire a risky bet. The Mack Lake fire in 1980 forced a major rethinking in strategy. On the morning of May 5, a district ranger on the Huron National Forest gave the okay to light a prescribed burn in southern Oscoda County. As described in a 1981 article in American Forests magazine, relative humidity was low and the temperature, already 74, was forecast to rise during the day. Several spot fires broke out along the perimeter of the burn. Shortly after noon, fire leapt into the crowns of jack pine along Highway 33. By 12:20 p.m. the call went out that the Forest Service needed help. The fire was out of control. Mack Lake made the use of fire fraught, if not impossible. Instead, land managers developed a method of clearcutting and mechanical planting, incorporating half-acre openings among the rows of jack pine. Currently, about 4,000 acres are harvested and replanted each year, about half on state land and half on the Huron-Manistee and Hiawatha National Forests. The timber management is purely in the name of habitat—young jack pines have very little commercial value. Creating habitat was one thing, but keeping cowbirds away was another. In 1972, the Fish and Wildlife Service began trapping cowbirds and quickly reduced parasitism to less than 10 percent of Kirtland’s Warbler nests. The rate has continued to drop as the agency has spent roughly $100,000 a year to capture and euthanize an average of nearly 4,000 cowbirds each season in Michigan. That two-pronged approach did the trick. By the late 1980s, Kirtland’s Warblers began to increase in number. Annual production of young has more than tripled to 3.52 young fledged per nest attempt. The species surpassed its recovery goal of 1,000 breeding pairs in 2001 and has doubled since then. Despite this success, the Kirtland’s Warbler will continue to be a high-maintenance project—probably for as long as warblers and humans share the continent. 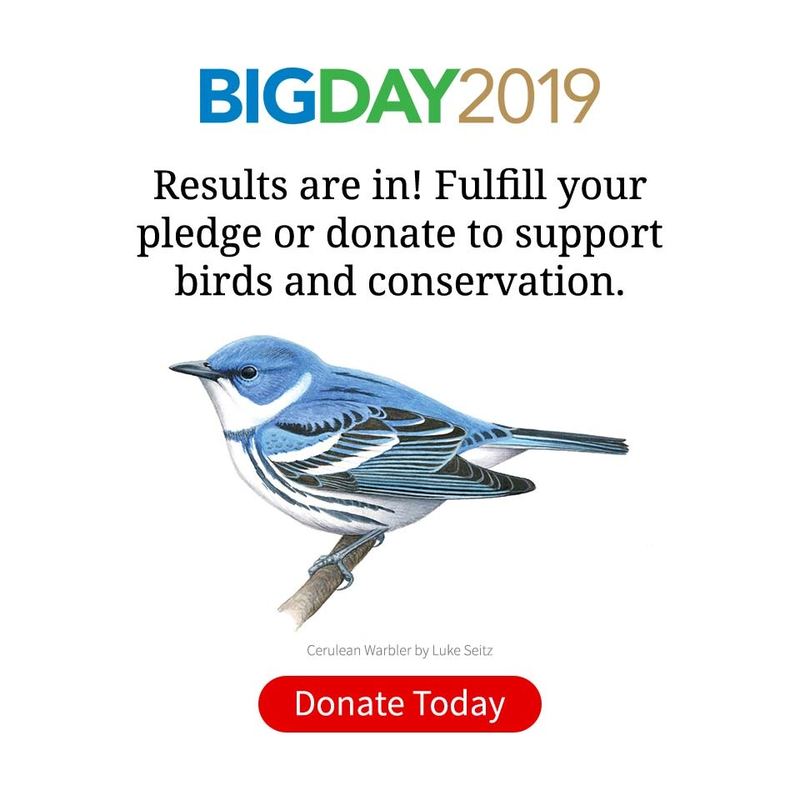 Unlike, say, the Bald Eagle, a bird that could take care of its own recovery after humans stopped using DDT, the Kirtland’s Warbler will depend on the high-cost creation of its nesting habitat and ongoing cowbird control. Money to maintain habitat and trap cowbirds is available through the warbler’s designation as a federally endangered species. But “when we take it off the endangered species list, that money goes away,” says Deloria, whose first job with the Fish and Wildlife Service was running the cowbird trapping program. For their nests, Kirtland’s Warblers carve out shallow depressions in the sandy soil and then build open cups woven from sedges and pine needles. Marra has stalked the Kirtland’s nesting grounds for several years now. In a study published in 2009, Marra and PhD student Sarah Rockwell examined isotope signatures found in the blood, feathers, and nails of Kirtland’s Warblers to determine the conditions of their wintering habitat in the Bahamas. They recorded how early the birds arrived on their nesting grounds and how many fledglings they produced. Wetter years in the Bahamas meant more fruit and insects for warblers, earlier migration, and better reproductive success 1,400 miles north in Michigan. “To some degree, Bahamian rainfall drives reproductive success [in Michigan],” says Marra. That knowledge may become ever more critical as sea level affects the low-lying Bahamas and a changing climate affects precipitation patterns. Lakeland University biology professor Paul Pickhardt assisted with monitoring nesting progress in the study area. Early results show it may be possible to scale back cowbird trapping and keep the Kirtland’s Warbler population growing. Scientists use nets to trap the birds before banding and fitting them with geolocator backpacks. A Kirtland's Warbler caught in a net will get fitted with geolocator backpack. Tracking data from the geolocators helped scientists identify key Kirtland’s Warbler habitat for breeding, migration, and wintering. The geolocator backpacks weigh less than 3 percent of the bird’s body weight. More recently, Marra and Nathan Cooper, a postdoctoral student, fastened 0.5-gram geolocators like tiny backpacks to Kirtland’s Warblers they netted in the pines. When the birds were recaptured on the nesting grounds a year later, data stored in the tiny sensors allowed Marra and Cooper to calculate within about 120 miles the location of their wintering grounds (almost exclusively in the central Bahamas), and more important, the routes of their migration and location of their stopovers. On this particular morning—the summer solstice—we hike down a sandy track into the heart of a stand of young jack pine nearly a mile across, about 3 miles east of Grayling, Michigan. Most trees stand not much taller than a living room Christmas tree. As we duck into the pines, brittle lichens crunch underfoot. Among the trees, the ground is covered by blueberries, the pale green fruit the size of BBs. In another month, the berries will be ripe for birds and black bears. For the past several weeks Cooper has been searching jack pine stands throughout the warbler’s range for nests. He and Marra are working on a study to determine the rate of cowbird parasitism and the success of Kirtland’s nesting. They have worked with the Fish and Wildlife Service to suspend cowbird trapping in certain areas to determine whether the costly control can be scaled back without imperiling the warblers’ recovery. “Right now we have a series of [nest] sites from right next to the cowbird traps to all the way out to 12 kilometers [7 miles] from active cowbird traps,” says Cooper. “The idea was to look at how that parasitism rate varies with distance from the nearest trap. A Kirtland’s Warbler feeds its chicks. Video by Benjamin M. Clock/Macaulay Library. Early in the season, Cooper and four assistants watched adult birds gather sedges and noted where they dove down to the base of a jack pine to build their nests. The task became easier as eggs hatched and the adults—warbling males in particular—made repeated food runs back to the nests. Cooper leads us to a nest location that has already been marked on his GPS. It’s tucked into a mound of shrubbery near the tip of a descending jack pine branch. He bends down, pulls the leaves aside, and peers in. Smithsonian Migratory Bird Center scientists Scott Sillett, Nathan Cooper, and Peter Marra (left to right) conducted field research in June 2016 to see how Kirtland’s Warblers responded to different management strategies. The Fish and Wildlife Service recommended in a five-year review completed in 2012 that the Kirtland’s Warbler be downlisted from “endangered” to “threatened.” Now, the agency is poised to go even further and take the bird off the endangered species list altogether. The recovery team officially folded its tent in March 2016 and passed responsibilities to a conservation team, says Deloria. The conservation team—which includes some of the same researchers and administrators from the earlier team—is looking for ways, in Deloria’s metaphor, to build a three-legged stool. The second leg is funding. Agencies are committed to creating habitat, but no one has volunteered money for cowbird trapping. “The cowbird trapping program is probably one of the biggest holes,” says Deloria. That’s why Marra’s research could be such a boon if it shows a way to reduce the intensity and cost of cowbird control. The third leg is cultivating a friends group to support the warbler. Deloria thinks they’ve found such a group in the local Kirtland’s Warbler Alliance, a volunteer group of birders and biologists. “They can help garner more support from the local communities that we’re working in,” she says. Hicks says the agency has received funding to begin the two-year process of downlisting or delisting, which involves writing a proposal and responding to public comments and expert opinion. “We anticipate that the downlisting proposal will be published in the fall of 2017,” he says. A Kirtland’s Warbler among the jack pines. Photo by Steve Gettle/Minden Pictures. As our little band emerges from the jack pines, a party of bird watchers parks along the dirt road and scrambles from their cars with cameras and telescopes. The Kirtland’s Warbler has become a minor celebrity in the northern Lower Peninsula. The latest Fish and Wildlife Service survey estimated that wildlife watchers spend more than $1 billion in Michigan each year. And the magazine Bird Watching pegs the Kirtland’s Warbler as the nation’s seventh most sought-after species. Michigan Audubon runs tours out of nearby Hartwick Pines State Park, and the Forest Service offers Kirtland’s safaris out of the town of Mio. The birders line up along the shoulder of the road. Then one spots a male Kirtland’s in the branches of a tall tree. As the warbler calls out, a ripple of excitement passes through the crowd. People adjust their optics and crane to find the distant bird in their spotting scopes and camera viewfinders. If only they knew to relax. In just a few minutes, once they hike down the dusty path to the heart of the jack pine stand, they will no doubt find Kirtland’s Warblers all but perching on the ends of their binoculars and the brims of their floppy hats. Greg Breining has written about nature, science, and medicine for several national publications, including the New York Times, National Geographic Traveler, and Audubon.